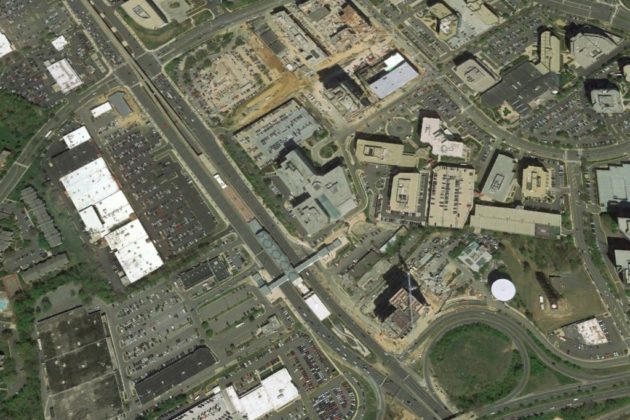 The blistering pace of development in Tysons has many looking to the future, but sometimes it’s interesting to look back. Aerial photos from the 1980s, available via Google Earth, help tell the story of the region’s evolution over the past three decades. Tysons as an urban metropolis is a somewhat modern phenomenon for an area that was largely farmland for 100 years after William Tyson purchased it. 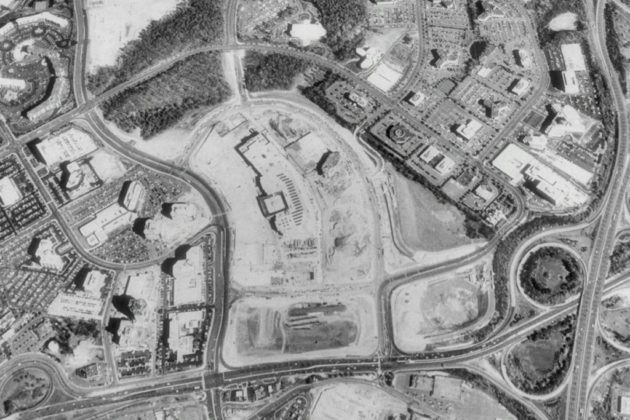 In the 1960s, development was jump-started by the construction of the Capital Beltway, Dulles Airport, and the Tysons Corner Shopping Center in 1968. 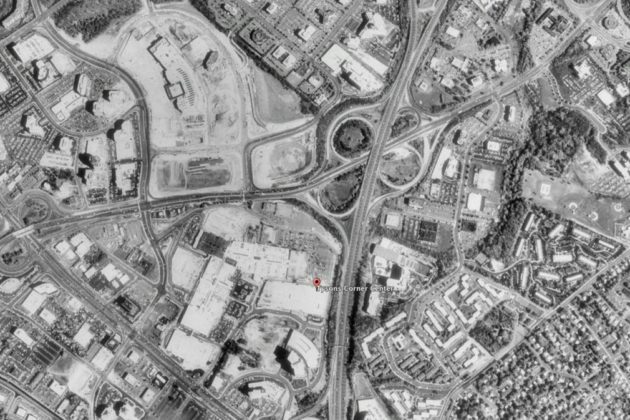 By the 1980s, when the first satellite photos are available, Tysons was already a developed area. 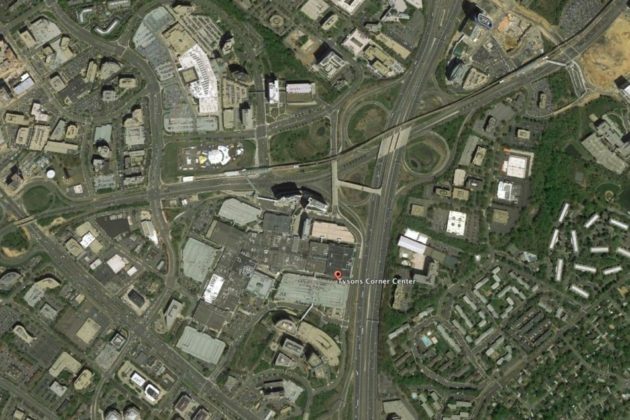 According to data from the U.S. Census, in 1990 the population of Tysons was 9,374. It grew by 35.8 percent to 12,734 in 2000. The growth slowed a bit between 2000 and 2010, when the population rose by 11.2 percent to 14,159. Since then the pace of residential growth in Tysons has picked back up; the current population of Tysons is 19,627, already a 38.7 percent increase over 2010. 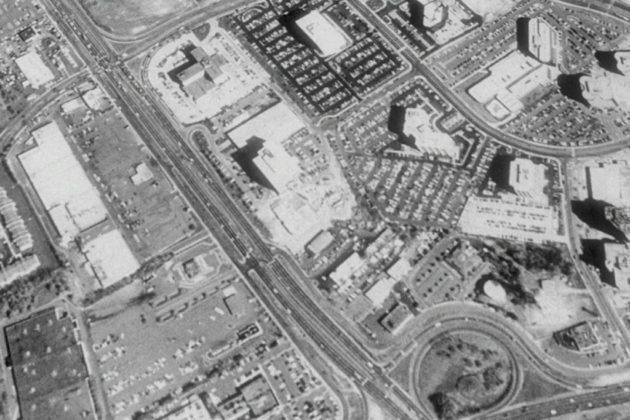 The 1988 image of Tysons, above, shows Tysons Galleria to the north on the eve of opening later that year. 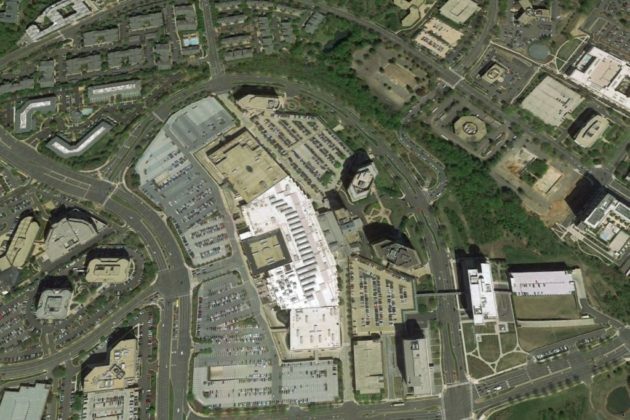 The streets surrounding Tysons Galleria were also widened and became more interconnected over the years, allowing for more dense construction to the north and to the east, including several recently opened and planned mixed-use developments. 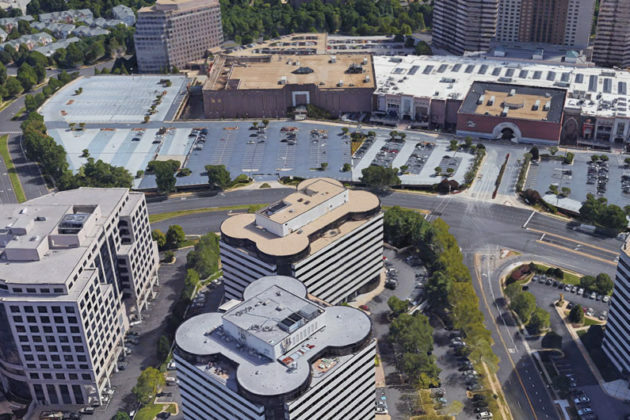 The offices to the west of Tysons Galleria are currently planned for major renovations to keep up with development further west on Leesburg Pike. One of the most visually striking shifts on Leesburg Pike is the decrease in surface parking lots, which covered much of the office parks east of Leesburg Pike. Several of the lots have been replaced with under-construction developments like The Boro. The shopping centers west of Leesburg Pike have also become more active as well, with new restaurants like Honeygrow and Cava opening this year.